In a way, I’m relieved. Last month I was spoilt for choice with free themes. My initial shortlist had tens of candidates, which I drilled down to fourteen quality offerings, from which I had to pick five. It wasn’t easy. 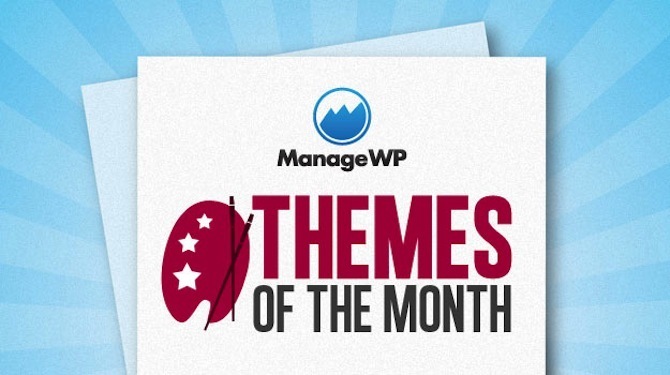 However, this month’s new candidates have had to compete with the awesome themes that didn’t make it onto the list last month, so the end result is yet another five awesome and diverse free themes for you to check out. Enjoy! This was by far the most impressive magazine-style theme on offer this month. As you can see from the above screenshot, Magazino is a clear and uncluttered design that lets the images you choose to include on your site do the talking. Magazino is responsive (although how well it adapts to various screen sizes and devices is up for debate) and has some limited customization options. All in all it’s a good theme to pick up and use out of the box, but perhaps not designed for those who like to tweak. No Themes of the Month post would be complete without a minimalistic design, and Prana definitely delivers on that front. It utilizes Google Fonts to deliver beautiful typography with minimal system load. Sidekick is a child theme of the Superhero theme developed by Automattic. It is an unashamedly single column, no widgets design — if you want a sidebar then you’ll need to go elsewhere. Automattic seem keen on single column layouts (what with the upcoming Twenty Thirteen theme) and Sidekick is no exception. If you’re on the market for this kind of design then it’s definitely one worth considering. Speaking of single column designs, tdSimple takes it even a step further with a focus on whitespace and clean typography. This type of design is perfect for bloggers and writers who want nothing to detract from the content — it’s a theme designed for truly great writing. It also looks fantastic and is fully responsive. Finally we have something completely different — a theme that is driven largely by imagery. 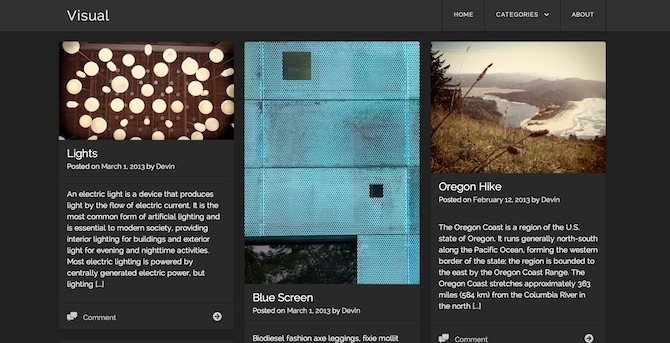 Visual is designed to showcase images, artwork and photography and arranges the elements in an attractive grid layout. 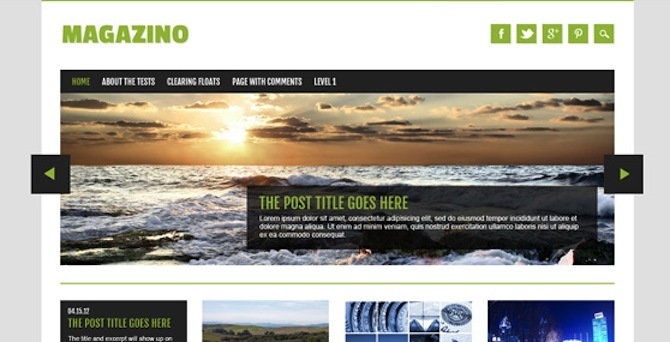 The theme is responsive and also offers two color schemes (light and dark). If you’re a photographer or artist, Visual is well worth considering. Good collection of free word press themes. I am also looking for a free word press theme and you help me out by providing these themes. 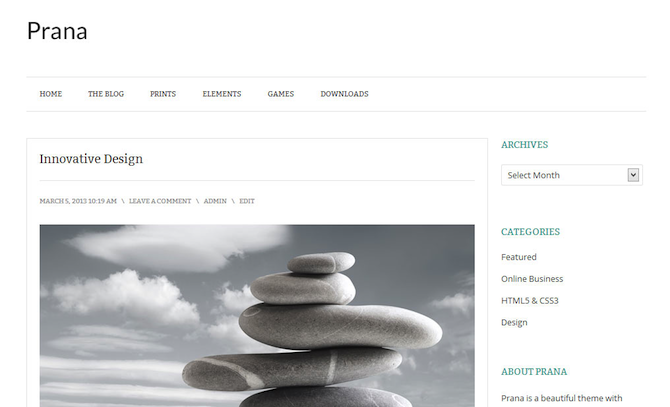 I am looking to use prana theme. Have a look and let me know what do you think? 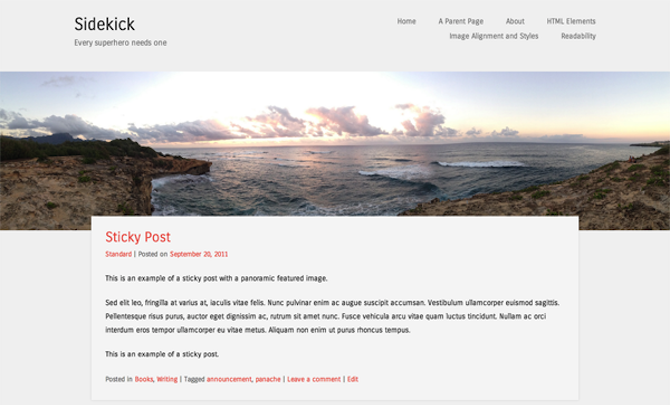 Here is also another wordpress theme 2013 i google. Hi my self Kishore and I’m asking one question you have providing free ribbon theme for my website and your article too informative for me thanks brother to sharing this article . Thank you for sharing very attractive wordpress themes. i would like to take one of them. 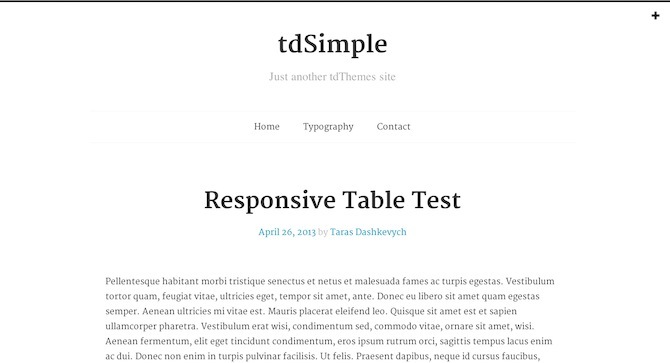 It seems tdSimple will be good for personal website, but I think we can make customize it for more purpose usage. Hello, i created a free WordPress theme for a tumblog. Hi, the free tumblog theme is Sueva.